Have you ever come across an item which barely works well, is inconvenient, and you’ve had a million ideas on how you can improve it? Similarly, have you also come across a product which is so well-designed and thought out that you just stand there amazed at the designer? Have you ever wanted to know which train car in less full so you don’t end up standing for the duration of your journey? Or had to stop the microwave a few seconds too soon so you don’t disturb people with the beep. Well, apparently so have others, but they’ve actually gone and done something about it. So, scroll down to see a list of product designs which you didn’t even know you needed until now. 1. A clock with a second display on the side. 4. This bench that’s equipped with Wi-Fi, power outlets, and a solar battery. Now you can really browse for hours! 6. This sink which has a soap dispenser, water tap, and a hand dryer all in one! 7. A train which shows you just how full each cart is. 8. This printer which rotates separate documents so that there’s no mix-up. 9. This toilet in Japan which refills every time you wash your hands so there’s less wasted water. 10. A soap holder which doesn’t let soap water build up. 11. 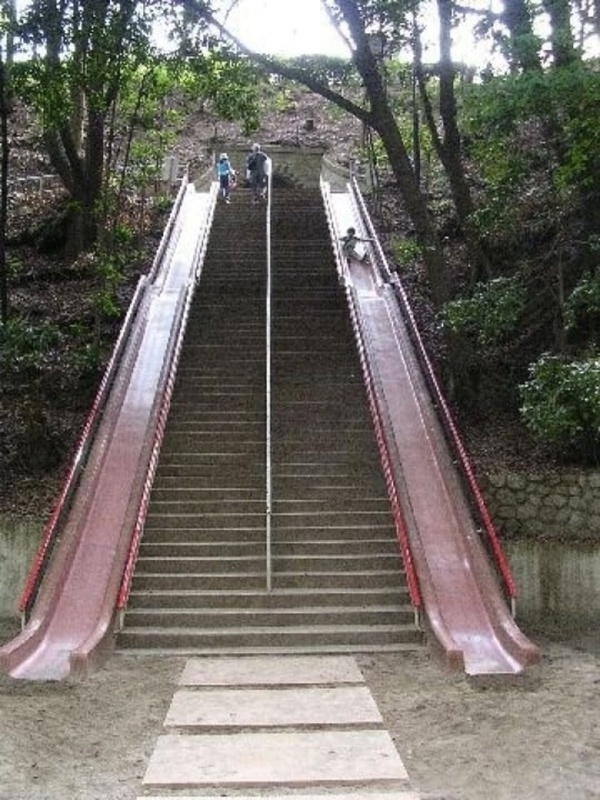 These stairs which are accompanied by a slide – so you can decide if you want to have some fun! 12. This microwave which lets you turn the volume of the beeper up or down. 13. This elevator which automatically shows you how much more capacity it has left. 14. These parking lines which go over the barriers too. 15. This condiment packet which holds both ketchup and mustard! 16. And finally, this double paint roller.